St. Jude Parish only 9:00 p.m.
April 21 - Easter Sunday! St. Jude Parish 8:00 a.m. and 10:00 a.m.
Sacred Heart of Jesus Parish 9:00 a.m.
Wishing You All . 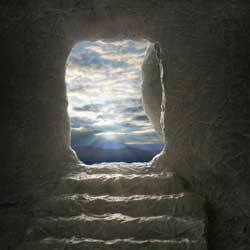 . . and all your extended family who may be with you this Easter weekend, a blessed and joyous Easter. From all our staff, parishes and school, may the hope that comes with faith in the Resurrection of Jesus be yours this Easter and lifelong. The prayers of the Easter Masses and throughout the Octave will be for all of our parish members and families. Please pray for Fr. Julius, staff, and me too. 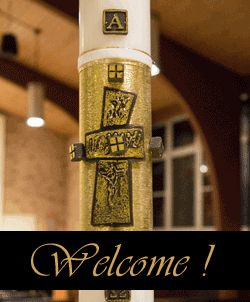 St. Jude Church would like to invite all parishioners to a reception next Sunday, April 28 after the 10:00 a.m. Mass*. We will be having a reception in honor of those who have been accepted into full Communion with the Catholic Church on Easter Vigil. These participants have worked hard over the past several months and the Vigil is not the end, but the beginning, of their journey with the Catholic Church. 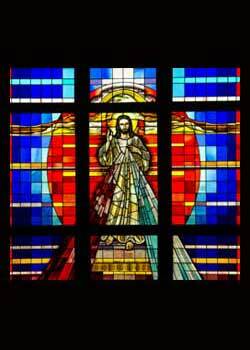 How blessed we are here at St. Jude to have a stained glass window with the image of the Divine Mercy. It seems only fitting that we make a special effort to celebrate Divine Mercy Sunday, the Sunday after Easter. At 3:00 p.m. next Sunday, April 28 we will pray the Divine Mercy Chaplet, have a short talk on the Divine Mercy and finish with Eucharistic Benediction. 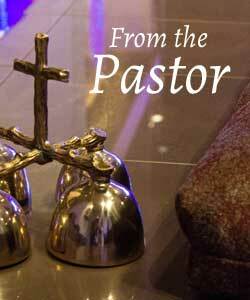 Invite your friends and family, especially those who may have fallen away from the Church. Fr. John will be in the confessional from 2 until 2:50 p.m. for anyone who has not yet had the opportunity for confession prior to Easter. St. Jude Alum to be Ordained! 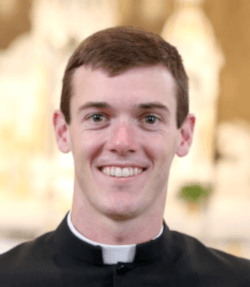 Danny McShane, class of 2004, will be ordained a Roman Catholic priest on Saturday May 25 at the Cathedral of St. Mary's in Peoria, IL at 10:30 a.m. Danny graduated from Marian High School in 2008 and attended St. Jude School from K–grade 8. St. Jude School is seeking a full-time teaching position for the 2018-19 school year: Middle School Social Studies with a background in Reading desired. 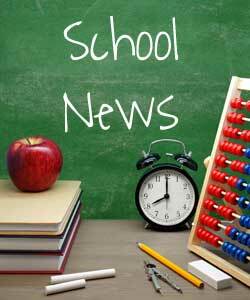 Also a part time position is available: Visual Art Grades PreK – 8. A qualified candidate, preferred Catholic, will possess or show the ability to obtain an Indiana Instructional permit in the area and grades of instruction. The 8th Grade is Selling Geraniums! 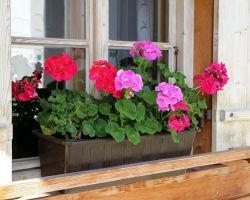 These beautiful geraniums in 15-inch decorative pots are $30 each or 2 for $50. Plants will be available for pick up after school on Tuesday, May 7th. We will accept cash and checks made payable to St. Jude 8th Grade. Pre-orders can be made in the school office. The deadline to order is Monday, April 22. "ROAR! Life is wild, God is Good!" 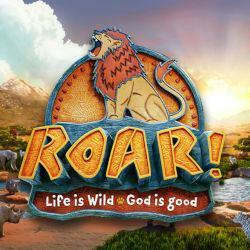 is the theme for this summer's Vacation Bible School. It will be held Monday, June 24 to Friday, June 28. We will need YOUR help! VBS is always a wonderful opportunity for the children to grow in their relationship with God in a fun hands-on way. However, we cannot do this on our own. We need your help to make this a memorable experience for the children. A big thank you from the St. Jude St. Vincent de Paul Conference goes out to all of the members of the local Boy Scouts. They recently coordinated a food drive that generated a large donation of non perishable food items to our pantry! What a huge help! This is just another example of organizations within our parish working together for the good of all.